The Holberg Prize is an international research prize awarded annually to a scholar who has made outstanding contributions to research in the arts and humanities, social sciences, law or theology. The Prize is worth NOK 6,000,000 (approx. USD 775,000) and was established by the Norwegian Parliament in 2003. 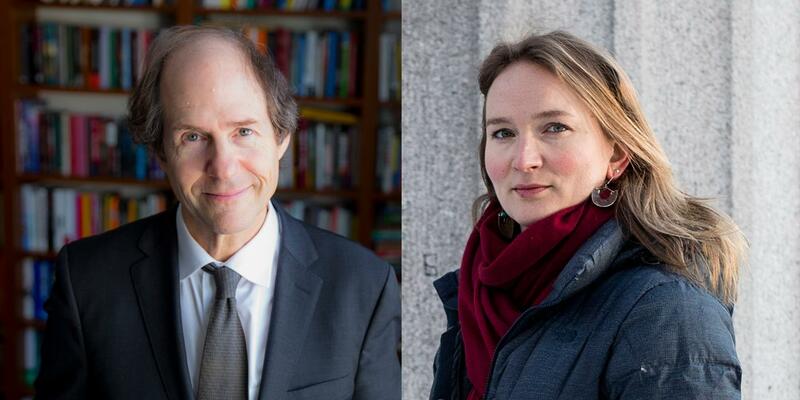 Mr. Sunstein will receive the Holberg Prize for his wide-ranging, original, prolific and highly influential research. Not only has his research redefined several academic fields; it has also had a far-reaching impact on public policy. His scholarship spans several major areas: behavioral economics and public policy, constitutional law and democratic theory, legal theory and jurisprudence, administrative law, and the regulation of risk. In particular, Sunstein's academic work has reshaped our understanding of the relationship between the modern regulatory state and constitutional law. He is widely regarded as the leading scholar of administrative law in the U.S., and he is by far the most cited legal scholar in the United States and probably the world. Both the Holberg Prize and the Nils Klim Prize will be conferred during a ceremony at the University of Bergen on 6 June. Mr. Sunstein is currently the Robert Walmsley University Professor at Harvard University. From 2009 to 2012, he was Administrator of the White House Office of Information and Regulatory Affairs, where he helped oversee a wide range of reforms involving safety, air quality, civil rights, open government, climate change, economic opportunity, health, and reduction of poverty. He is the founder and director of the Program on Behavioral Economics and Public Policy at Harvard Law School. For about four decades, Sunstein has combined his outstanding scholarly contributions with a range of public activities and participation in open debate, and he has influenced our thinking on some of the most pressing issues of our time. Sunstein has been involved in constitution-making and law reform activities in many countries. Mr. Sunstein is author of hundreds of articles and dozens of books. After the Rights Revolution (1990) og The Partial Constitution (1993) are considered his major works on American constitutional law. He won the Goldsmith Book Prize for Democracy and the Problem of Free Speech (1993), where he states that there is a need to reformulate U.S. First Amendment law, and together with Richard Thaler he published Nudge: Improving Decisions about Health, Wealth, and Happiness in 2008. The book discusses how public and private organizations can help people make better choices in their daily lives, and it helped popularize and cement the influence of behavioral law and economics as an academic field. "Cass Sunstein's work is animated by a profound sense of the ways in which human behavior poses a challenge for regulation. Moreover, in addition to his contribution to the academic field, he has also mastered the art of communicating difficult and important ideas to the public. His work is rigorous, yet accessible, and marked by an extraordinary concern for human welfare as well as a commitment to an enlightened public discourse. Sunstein is one of the great intellectuals of our time." – Dr. Pratap Bhanu Mehta, Chair of the Holberg Committee. The Nils Klim Prize, worth NOK 500,000 (appr. EUR 52.000), is awarded annually to a Nordic researcher under the age of 35, who has made an outstanding contribution to research in the fields covered by the Holberg Prize. The 2018 Prize is awarded to Norwegian political scientist Francesca R. Jensenius, Senior Research Fellow at the Norwegian Institute of International Affairs, for her research on elections, development patterns, and the empowerment of minority groups and women in India and elsewhere. Jensenius holds a PhD in Political Science from University of California, Berkeley (2013), where she specialized in Comparative Politics, South Asian politics, and Research Methods. 'My main research interest is in how electoral dynamics and institutional designs for state institutions affect different kinds of inequality in society,' says Jensenius. Jensenius is currently working on several papers and a book manuscript exploring the relationship between political institutions, electoral dynamics, and local-level development patterns in India, as well as a comparative project about how legal regimes and legal change across the world differentially affect women and other marginalized communities.